I don’t know about you but I’m diehard pumpkin spice fan… Except I don’t do toxic ingredients or tons of sugar. That’s why I’m sharing my Healthy Pumpkin Smoothie recipe. 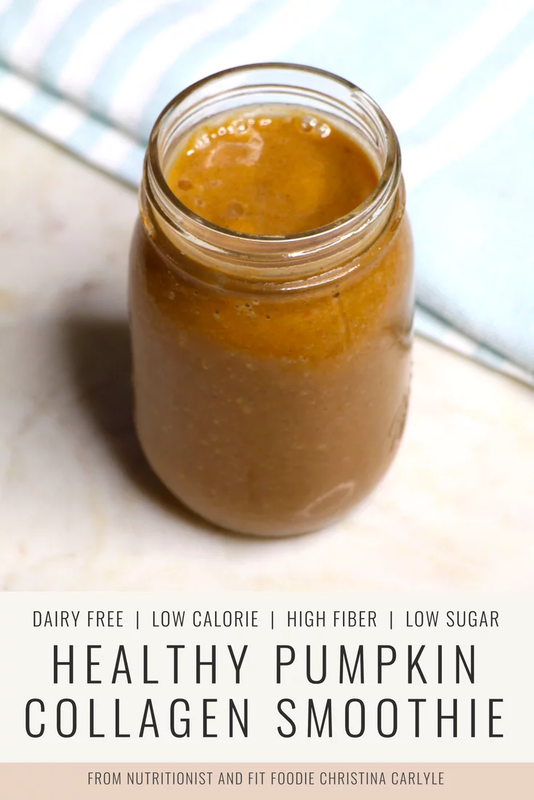 This pumpkin smoothie is delicious and I love drinking this even in the summer when I’m channeling fall sweater weather. Full of protein, fiber, and healthy fats, which will help keep you feeling full and energized throughout the day. It’s low in sugar, too. The fresh pumpkin puree and spices add rich chemical-free pumpkin flavor and Vitamins A and C.
The best part? This smoothie’s second all-star ingredient is collagen… which helps your gut health, joints, hair, nails and skin. 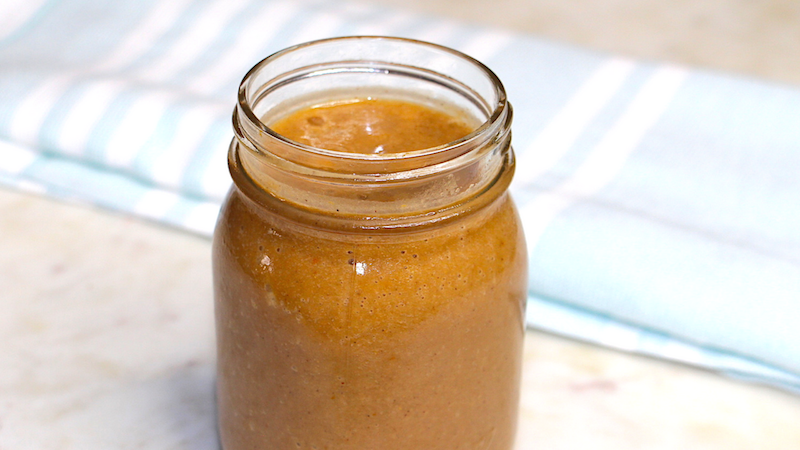 The pumpkin puree’s Vitamin C helps your body absorb collagen better, too! Remember to opt for organic ingredients, especially that canned pumpkin purée! Here’s the brand I use… I love it because the can is BPA free. Combine all ingredients in a blender and blend until desired consistency. You may have to adjust your ice… Also, feel free to modify the spices to suit your taste. Recipe taken from my Total Transformation Challenge. If you’re looking for more healthy recipes – you and your family will love – and you’d like to get more healthy and lose weight fast (like noticeable results in DAYS) then it’s perfect for you. Start the Total Transformation Challenge here. Leave me a comment to let me know how your Pumpkin Smoothie turned out. Pin this recipe to pinterest so you’ll have it forever. I was wondering what brand of protien powder do you recommend?